Christopher Troeger, MPH, is a Research Scientist working on projects related to diarrheal diseases and lower respiratory infections. Chris is originally from a ski resort in Colorado and earned his Bachelor’s and Master’s degrees at the University of Colorado. 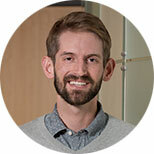 Prior to joining IHME in 2015, Chris was an infectious disease epidemiologist at the Fred Hutchinson Cancer Research Center (FHCRC) in Seattle, WA.